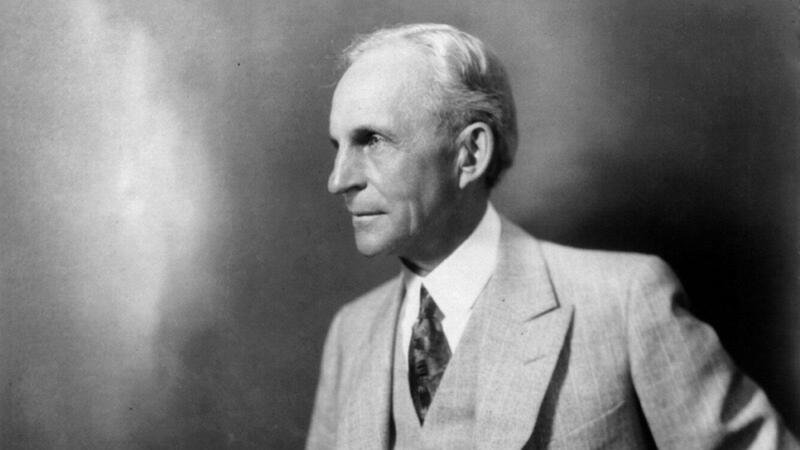 Henry Ford was a remarkable man who founded the Ford Motor Company; he was also the creator of the assembly line. In October of 1908 Ford introduced the “Model T” automobile and single-handedly revolutionized the transportation industry as well as the American industry. Ford was an amazing inventor who was awarded 161 U.S. patents and amassed one of the world’s largest fortunes, most of which he left to the Ford Foundation. Today I want to talk about seven amazing success lessons from Henry Ford the inventor and pioneer! The secret to success lies in serving others! All successful people serve, the greater the success, the greater the service. Wealth is created from service, wealth only comes from service. Ford said, “Wealth, like happiness, is never attained when sought after directly. It comes as a by-product of providing a useful service.” Who are you serving? You are completely unaware of your potential, because you’ve never focused all of your efforts on one task. You spend an hour of your day doing this, three hours doing that, but you never focus all of your attention to one assignment. When you focus your life, impossibilities become possibilities. Get focused, you can do more than you think you can! We all have 24 hours in our day, yet some succeed while others fail. Why is this? The reason is because some successfully control their day, while others are controlled by their day. Some dictate where their day goes, while other’s let their day dictate where they go. If you fail, you will fail because you failed to make excellent use of your time, if you succeed, you will have succeeded in mastering your time! Are you mastering your time? You will only be rewarded for the problems that you solve for other people. Are you solving any problems? If you solve big problems you will receive big rewards, if you solve little problems, then you will receive little rewards. If you solve problems for a few people, then your payment will be small, if you solve problems for the masses, then you will become rich. Don’t waste your time going around problems, solve them! Henry Ford said, “There are no big problems; there are just a lot of little problems.” When you think about it…you see how true this is, nothing is really “that hard.” You climb a mountain one step at a time; the individual steps aren’t hard; the hard part is being consistent. Eat your elephant one bite at a time, and one day it will be all gone. Never take your eyes off your goal! It is the goal that motivates; it is the goal that gives you the strength to keep going. You must consistently see what you want to be. You must see the goal as complete; you must experience the goal as accomplished in your imagination. Thinking is how you prepare, it’s the hard work, it’s where you figure out the little nuances and “make ready” your plans. Ford said, “Before everything else, getting ready is the secret of success.” Are you ready? Are you thinking? Thinking is the hard work, but someone’s gotta do it, someone’s gotta get ready to succeed!